What happens when the impacts of a changing climate get personal? In his newest book, Betting the Farm on a Drought, Seamus McGraw takes us on a journey to the front lines of climate change in the United States. McGraw frames the front lines in two dimensions: the intellectual and the on-the-ground, lived experience. The former, he argues, has become locked in a highly polarized debate, and he blames extremists at both ends of the spectrum for creating conditions ripe for further inaction. Dire warnings and end-of-the-world scenarios often used by those who are pro-science or pro-fossil fuel only stoke fear and inertia, he says, and it is among those who live and work closest to the land and ocean where real hope and concrete action can be found. To prove his point, McGraw introduces the reader to three working people: a farmer from Illinois, a fisherman from New Jersey, and a rancher from Texas, all of whom share a particular perspective. They are seeing and experiencing changes in the land and sea upon which their livelihoods depend. They acknowledge that the climate is changing, but they are very reluctant to say that this is the result of human activity. Nevertheless, because their livelihoods are at stake, these individuals have begun to take action to adapt to the changes as best as they can. For the fishermen of Belford Harbor, New Jersey, the trouble began in 1984, the year the local marshlands stopped freezing due to increased temperatures. But the marshland was not the only place water temperature was rising. At sea, their primary catch, the whiting, moved farther north in pursuit of cooler waters. To compensate, they were forced to switch to skate and flounder, species not as plentiful or as lucrative. Scallops or oysters might have been an option, but they, too, were affected by climate change and the increasing acidity of the ocean. The take-home message from this book is a vitally important one. Around the world, communities and individuals are beginning to experience significant economic and social impacts resulting from a rapidly changing climate. It is in their immediate best interests to engage in respectful discussion on all options for adapting to and mitigating these impacts. Many coastal communities, for instance, have begun this process—assessing vulnerability to sea level rise or saltwater intrusion in freshwater supplies, or restoring coastal wetlands and estuaries as natural protection from storm surges. These experiments need to be encouraged and supported, with best practices being shared ever more broadly. 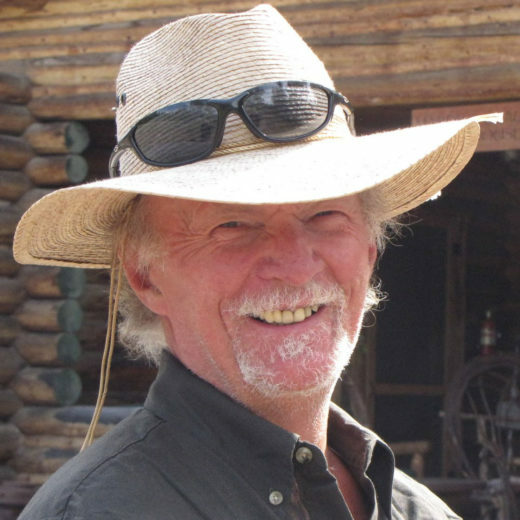 As an environmental journalist, Rick Searle has had his writings published by leading Canadian and international magazines. He is the author of the best-selling book, Phantom Parks: The Struggle to Save Canada’s National Parks. As well, he has hosted radio and television programs and produced documentaries for major Canadian broadcasters. Recently, he led the development of a national ocean science education program for students, and their instructors, from kindergarten to post-secondary. Cite this Article: Rick Searle “Book Review: Betting the Farm on a Drought,” Hakai Magazine, Jun 26, 2015, accessed April 23rd, 2019, https://www.hakaimagazine.com/article-short/book-review-betting-farm-drought/.